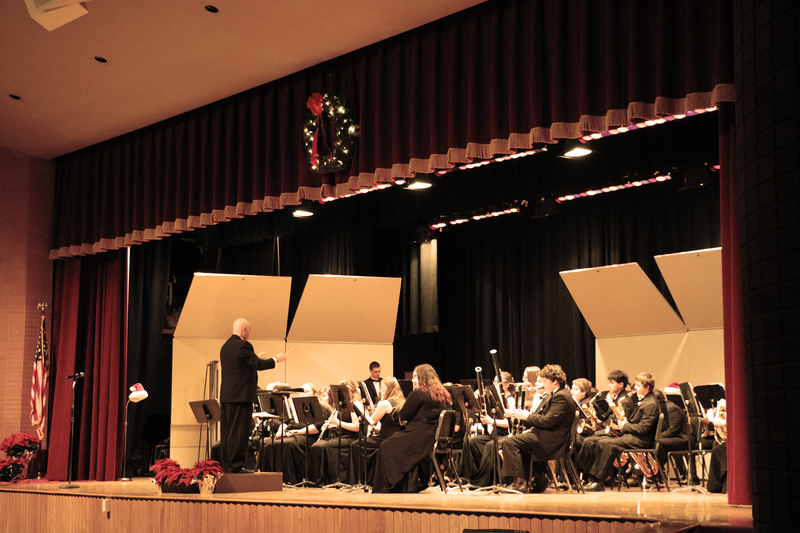 FULTON – Fulton City School District’s High School Holiday Band Concert filled the G. Ray Bodley auditorium with songs of great cheer recently. Fulton High School performs popular and traditional festive tunes for its holiday concert. 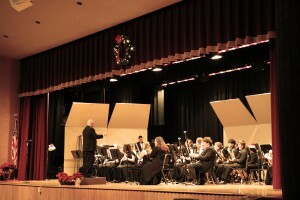 Directed by Terry Caviness, the event included performances by the concert band and wind ensemble. Despite the balmy evening, many traditional holiday and winter tunes comprised the festive performance. The wind ensemble performed a melody from the popular movie, “The Polar Express,” a number that Caviness said was a very difficult piece to learn. He spoke of the memories and sentiment that the music can evoke this time of year. “We hope that you enjoy the performance, and that it puts you in a beautiful mood,” said Caviness.